The request of Governor Nyesom Wike for a legislative approval of his quest for a loan of N10 billion was approved by the state lawmakers, on Thursday. The governor had written a letter to the state House of Assembly asking for an approval to access the loan to enable his administration to fund what he described as some vital projects. Twenty eight lawmakers, at the sitting of the legislature, on Monday, voted in favour, saying the request was important, owing to the fact that the former administration allegedly left empty treasury for the new government. Speaker of the state House of Assembly, Ikuinyi Ibani, said no government could survive without funds, but assured that the legislature would not engage in frivolous approvals, but only give assent to issues that were transparent. According to him, the N10 billion loan facility would be facilitated from the Zenith Bank and repaid through the Valued Added Tax (VAT). 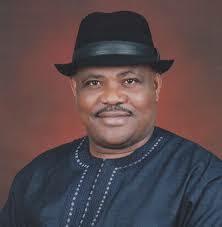 "He (Wike) cannot do that without cash back. No government can run without a financial base. We must provide succour for our people so that they can begin to see changes between yesterday and today. "This Assembly will not engage in frivolous approval and resolutions. As an Assembly, we have the responsibility to know what the funds sought for are meant for," he said.